Alphabet City in 1988 burned with heroin, radicalism, and anti-police sentiment. Working as a plainclothes narcotics cop in the most high-voltage neighborhood in Manhattan, Detective Sergeant Mike Codella earned the nickname "Rambo" from the local dealers, as well as a $50,000 bounty on his head. The son of a cop who grew up in a mob neighborhood in Brooklyn, Codella understood the unwritten laws of the shadowy businesses that ruled the streets. He knew that the further east you got from the relative safety of 5th Avenue, Washington Square Park and NYU, the deeper you entered the sea of human misery, greed, addiction, violence and all the things that come with an illegal retail drug trade run wild. With his partner, Gio, Codella made it his personal mission to put away Davie Blue Eyes—a stone cold murderer and the head of Alphabet City's heroin supply chain. Despite the hell they endured—all the beatings and gunshots, the footchases and close calls—Codella and Gio always saw Alphabet City the same way: worth saving. Alphaville, Codella's riveting, no-holds-barred memoir, resurrects the vicious streets that Davie Blue Eyes owned, and tells the story of how Codella bagged the so-called Forty Thieves that surrounded Davie, slowly working his way to the head of the snake one scale at a time. 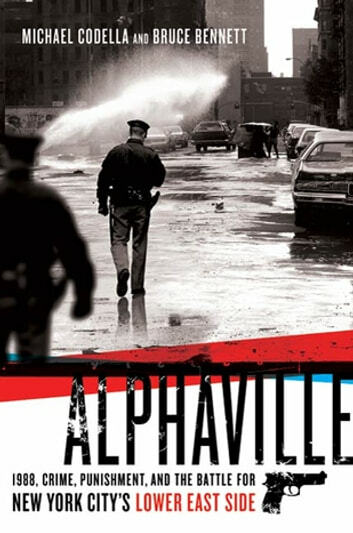 With the blistering narrative spirit of The French Connection, the insights of a seasoned insider, and a relentless voice that reads like the city's own, Alphaville is at once the story of a dedicated New York cop, and of New York City itself.